MAY 22nd, 2014–It’s the anniversary of Sun Ra’s birthday. An influential jazz composer, keyboardist and bandleader, Sun Ra had significant influence over his more earthly peers, yet he always insisted he was just visiting this planet. In fact, his passport said he was from the planet Saturn. Sun Ra born in Birmingham, Alabama. He is a 1979 inductee of the Alabama Jazz Hall of Fame. 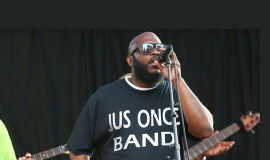 From the mid-1950s to his death, Sun Ra led “The Arkestra” (a deliberate re-spelling of “orchestra“), an ensemble with an ever-changing name and flexible line-up, although certain core members remained with the group through its various incarnations (Marshal Allen, John Gilmore, June Tyson, and others). It was by turns called “The Solar Myth Arkestra”, “His Cosmo Discipline Arkestra”, the “Blue Universe Arkestra”, “Myth Science Arkestra”, “The Jet Set Omniverse Arkestra”, and many other variations. 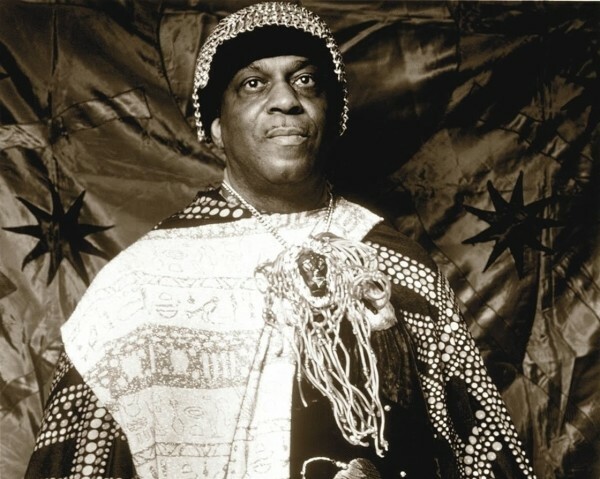 Sun Ra asserted that the ever-changing name of his ensemble reflected the ever-changing nature of his music. His mainstream success was limited, but Sun Ra was a prolific recording artist and frequent live performer. His music ranged from keyboard solos to big bands of over 30 musicians and touched on virtually the entire history of jazz, from ragtime to swing music, from bebop to free jazz. He also used free improvisation and was one of the early musicians to make extensive use of electronic keyboards.